PPS is the largest reseller of the Chicago Gaming Remakes (MMR and AFMR) – we are now taking deposits for Limited Edition (we STILL have confirmed allocated LE slots available), Special Edition, and Classic Edition models – start shipping in May thru the rest of the year. Order the deposit ONLINE HERE! PinSound is now available for Williams/Bally games! PinSound products are now available on the Planetary Pinball Store HERE – PinSound is a Pinball Sound Revival for your games – updated sound system, availability of re-orchestrated sounds (for some games), and ability to use custom sounds! 3D Lenticular High resolution translites are now available! You can purchase here and you can BUNDLE shipping – Revenge From Mars, Theatre Of Magic, Fish Tales, Medieval Madness, Attack From Mars, and Whitewater 3D Lenticular Translites! More titles coming – Theatre Of Magic (next), Revenge From Mars (after that), and more! 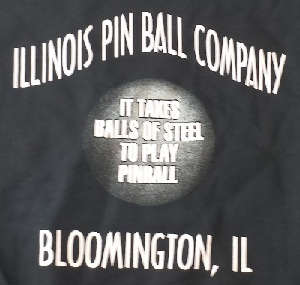 PPS has acquired via Illinois Pinball a large cache of original Williams and Bally silkscreen films. We are sifting thru these this fall (2014) which is allowing us to have art-ready projects within days of cleaning up films and no need to recreate the artwork for many titles! We will be calling artwork done with these films Next Gen 2+ with the “+” denoting that they are using the original films – check the PPS Forum as we will update new artwork there! 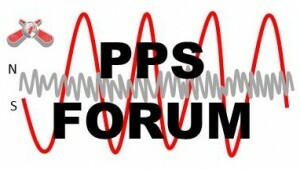 New PPS Forum launches!! … get the latest MMR Status & Support, PPS Parts & Merchandise updates, Partner news and new products, as well as artwork projects under development, get previews of things, early access to one of a kind items (IPB stuff, etc) AND have great pinball discussion with high focus on content and being a positive place! Enter the forum HERE or go to Follow Us > Forum. 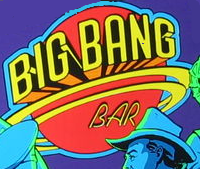 We are BIG BANG BAR parts headquarters … thru the recent acquisition of Illinois Pin Ball Co, we now have all of the Big Bang Bar parts that there were. We will make as much available as possible. See the specific stuff for the game here! We have acquired Illinois Pin Ball Company (IPB) and moved it out to California … we at least all of the parts that they had … playfields, plastics, etc, etc, truckloads of it, that we are still going thru and making available! All IPB “Stuff” will be available thru Planetary Pinball Supply, Inc. We’ve even got some of the IPB branded besides parts as well here! You can now let us know your interest / pre-reserve some items to help us gauge interest as well as give you first crack at some items that we are about to produce! Please go HERE to see what we have in the pipeline and let us know if you are interested. They said it would never happen…well here it is! 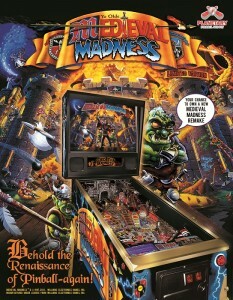 Medieval Madness is shipping now! 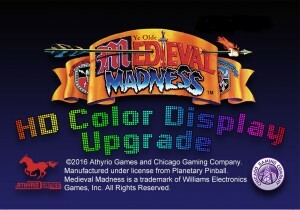 MMR LE’s are just about shipped and are taking orders for standard Medieval Madness games – if interested email rick@planetarypinball.com – price is $7995 and availability would be about April 2016! 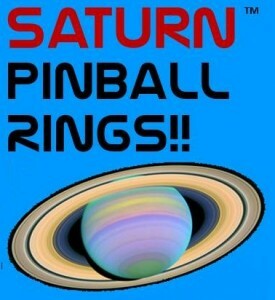 Saturn™ Pinball rings are here! Urethane rings designed to last … see more about them HERE! They are available on the Planetary Pinball store for purchase HERE – in addition to all the benefits, also many colors including Fluoro UV light-up ones! 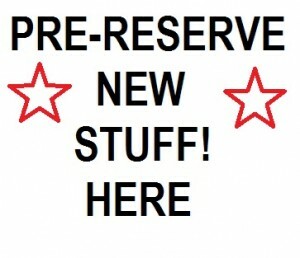 New WEB STORE Opens – now buy all the parts that PPS offers online! 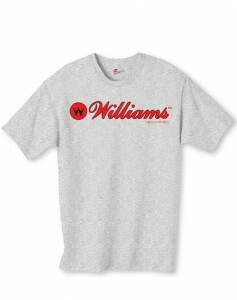 Click the ONLINE STORE on this page! 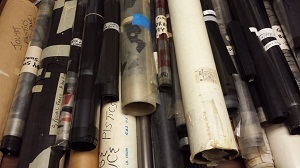 Buy Cabinet Art, Translites, Plastic Sets, Playfields, Manuals, Repair Parts, etc. 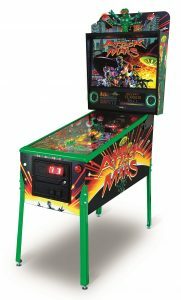 Planetary Pinball Supply, Inc has acquired the Williams Electronics Gaming Inc.
license for replacement parts and games manufacture as well as the Distribution Parts business from Mr. Pinball Australia. Customer driven – we need to know what you need! Pinball – bringing you the pinball parts you need to play, operate, restore, and love your games!